I am now in my first term at the Royal College of Music International Opera School in London, as the Kiri Te Kanawa Scholar. Winter is already upon us here in London, so let me cast your minds back to sunnier times, and update you with what I did during the summer and autumn. I travelled to Italy twice during the summer break. First was for ex-Covent Garden coach Robin Stapleton’s annual concert in Tuscany. Our final performance was a ‘walking concert’ around the village of Pereta, singing opera arias and duets amongst beautiful, historic Italian buildings. Launching down an ancient lane to begin the concert with Rossini’s Largo al factotum, I felt I was truly Figaro in his own century! After our concert at the NZ Ambassador’s Residence in Rome. 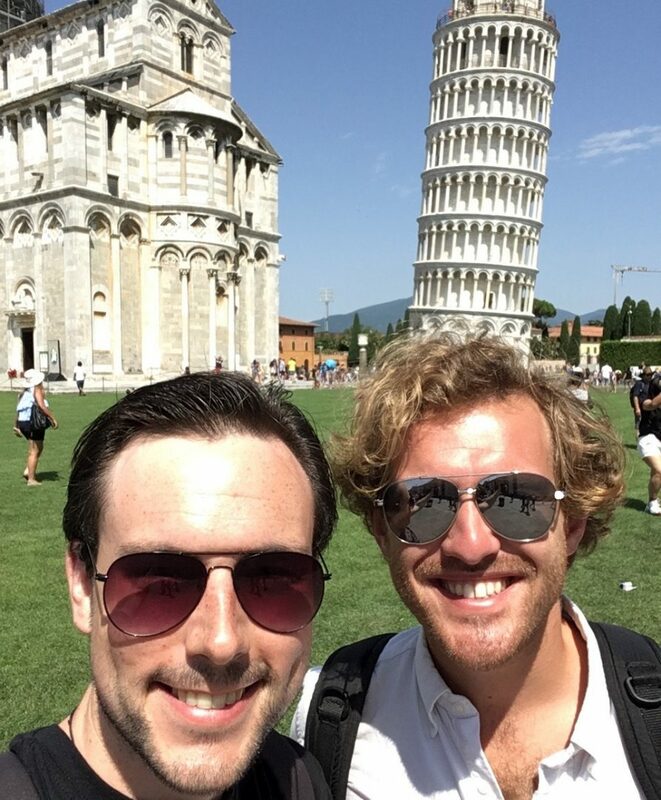 In September, I returned to Italy for a ten-day Masterclass Programme mounted by Patricia Hurley and the Dame Malvina Major Foundation, alongside fellow Kiwi singers Oliver Sewell, Eliza Boom, and Katherine McIndoe. We had daily Italian language lessons, and coachings with NZ Opera’s Musical Director Wyn Davies. 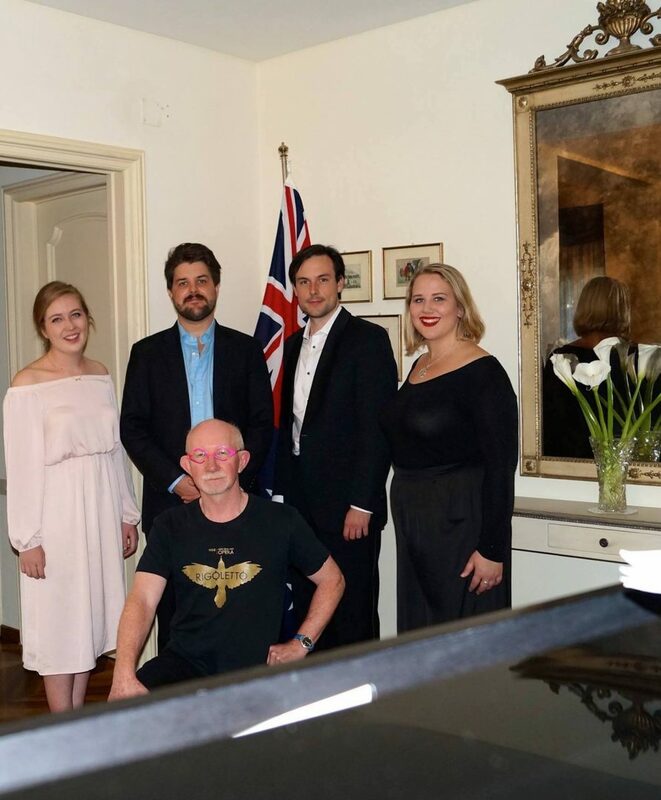 Through the week we prepared several staged Bel Canto opera scenes and arias, which we performed three times – the last at the NZ Ambassador’s residence in Rome. It was a privilege to represent New Zealand in this way. 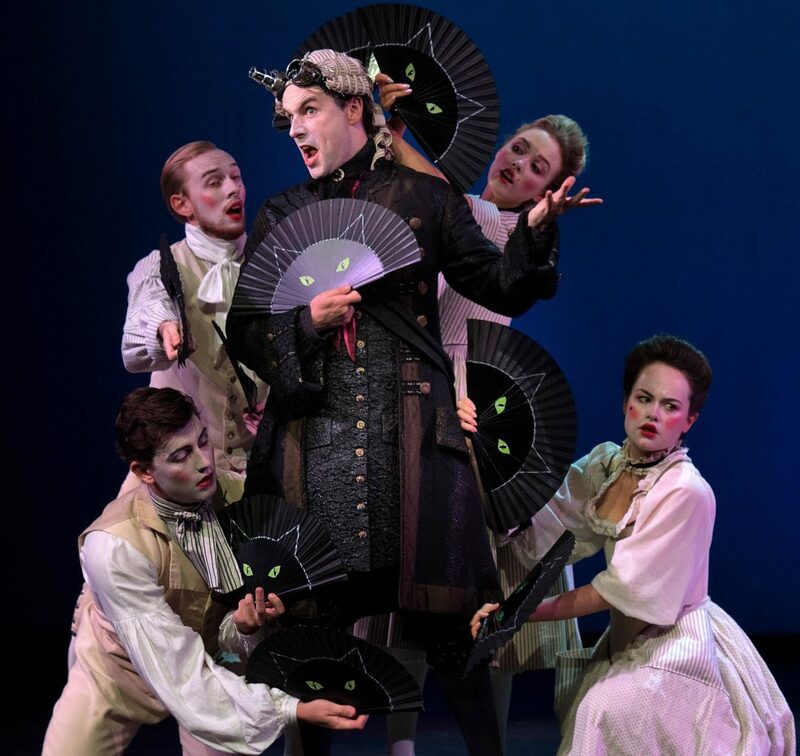 Between these two trips, I played six roles in British Youth Opera’s season of English Eccentrics, a comic opera by Australian Malcolm Williamson. There are 39 characters shared between six principal singers, all based on real historical figures from the Regency period, in which the production is set. My characters included a French butler, a charlatan doctor, and an aristocrat who is obsessed with baths! It was a wacky and wonderful production, managing to be very funny, yet surprisingly moving in parts. The amazing costumes and wigs made for fantastic photographs – see more on my gallery page. I am now rehearsing the RCM’s next opera, Mozart’s La Finta Giardiniera. Our production is set in a modern world, much like an American soap opera – rich people behaving badly! I am performing on 30 November and 3 December, at 7pm, in the Britten Theatre, Royal College of Music. If you would like a ticket, you can buy them from the RCM here. 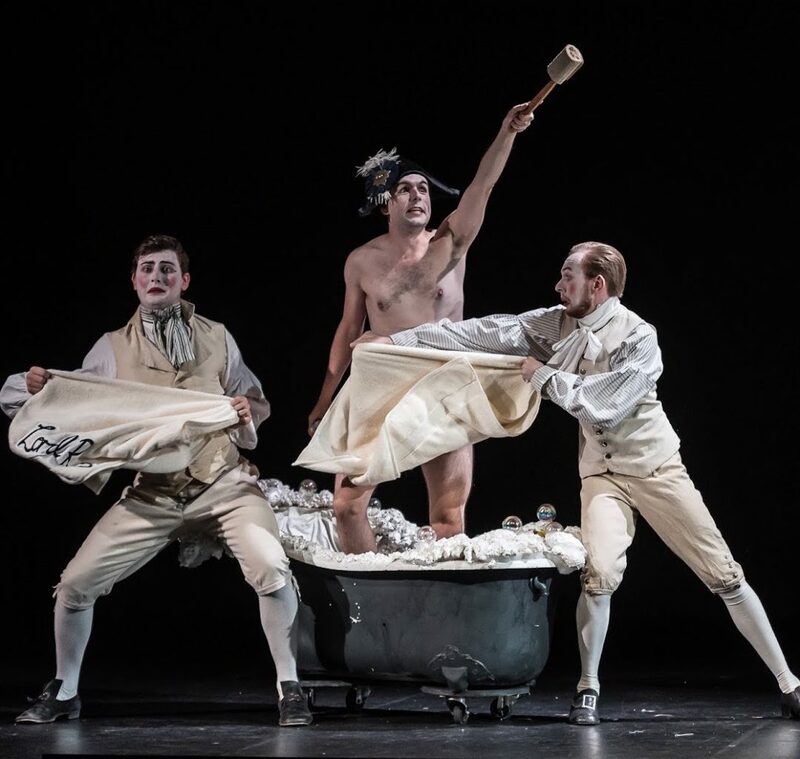 Alongside College commitments, I have been working with English Touring Opera, understudying roles in Xerxes and La Callisto (as some of you may know, last year I covered several roles in ETO’s Werther and The Tales of Hoffmann, and got last-minute call-ups for two performances, so they asked me back!). I have several UK oratorio and concert engagements before Christmas, and in the New Year, I play the main baritone role in the RCM’s spring opera, Handel’s Faramondo. On New Year’s Eve, I will even be singing at a wedding in Bicester with other RCM students, and none other than Sir Thomas Allen! It will be an exciting few months coming up – I will keep you all posted.